President Obama has consistently resisted the idea of providing military assistance to opposition groups in Syria, but according to outgoing Defense Secretary Leon Panetta, the Pentagon supported the idea. Panetta, testifying today before the Senate Armed Services Committee in a hearing about the September 11 attacks in Benghazi, Libya, affirmed to Sen. John McCain, R-Ariz., that he have recommended such assistance. "Did you support the recommendation by Secretary of State -- then-Secretary of State Clinton and then-head of CIA General Petraeus -- that we provide weapons to the resistance in Syria? Do you support that?" McCain asked. 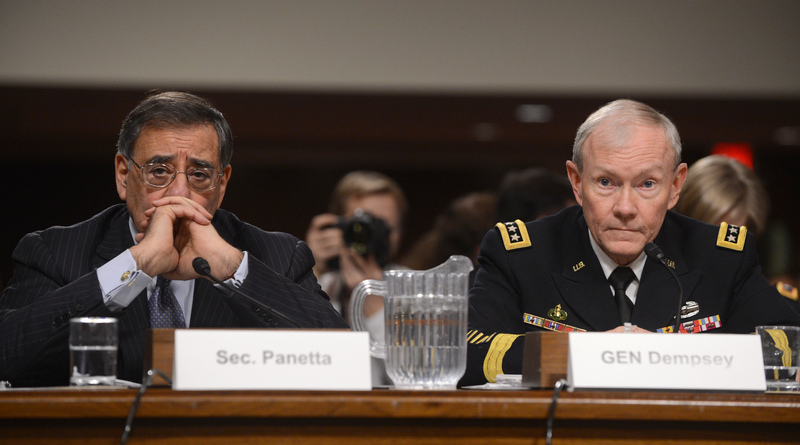 Panetta on Benghazi: We did "everything we could"
"We do," Panetta said, nodding. "You did support that?" McCain confirmed. "We did," responded Gen. Martin Dempsey, the chairman of the Joint Chiefs of Staff. As the New York Times reported over the weekend, Clinton and Petraeus crafted a plan last summer to vet, train, and arm Syrian rebel groups. But they were reportedly rebuffed by a White House in the midst of an election and, according to the Times, "worried about the risks." Until today, the Pentagon had not gone on the record in support of such assistance. McCain, who has long advocated for more forceful action in Syria, said he was "pleased" to hear Panetta and Dempsey but pressed Mr. Obama to "heed the advice of his former and current national security leaders." "I was very pleased to hear both Secretary Panetta and Chairman Dempsey state that they supported this proposal, which unfortunately was refused by the White House," he said. "What this means is that the President overruled the senior leaders of his own national security team, who were in unanimous agreement that America needs to take greater action to change the military balance of power in Syria." "I urge the President to heed the advice of his former and current national security leaders and immediately take the necessary steps, along with our friends and allies, that could hasten the end of the conflict in Syria," McCain added. "The time to act is long overdue, but it is not too late."